A unique opportunity to discover two unmissable Milanese football attractions: San Siro Stadium, and Casa Milan. Built in 1926, San Siro Stadium has undergone numerous renovations. The temple of football, which hosts the museum of the two Milanese football teams: Inter & Milan. Now reputed to be one of the most astounding sports buildings in the world, it holds a capacity of 85,000 people. During this tour you'll visit the stadium's museum and site and you will have the possibility to see the trophies of the victories of A.C. Milan and F.C. Inter football clubs. Before returning back to the bus, choose to take home your own souvenir at the San Siro official merchandising store (optional). 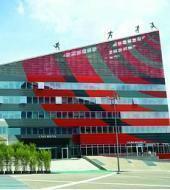 The tour continues in order to let you discover Casa Milan: the new home of AC Milan. In this brand new building don’t miss out the opportunity to visit the museum, take advantage to shop in the store and enjoy a meal in the brand new restaurant: Cucina Milanello! - Tour suspended on match days or in occasion of special events. In this case you will be offered an alternative date or time, or a full refund.